A resident of Ventura since 2016, Gardina hopes to bring awareness to climate change; city staff is ready to hit the ground running for busy year ahead. Editor’s Note: This article was updated on April 12, 2019 to reflect that Chris Stephens is a retired director of Ventura County Resource Management Agency. VENTURA—Ventura Board of Port Commissioners has a new member after a space was recently vacated by Jim Friedman, who was elected to Ventura City Council in November 2018. Jackie Gardina, who was appointed by Ventura City Council on March 4, is now the newest commissioner. Born in Davenport, Iowa, Gardina did not lay her eyes on the ocean until she was in her 20s. After she graduated with a political science degree from University of Iowa, she moved to Boston to pursue a master’s degree at Boston University. It was the Atlantic Ocean on the East Coast that led to Gardina discovering a new love. “I just really, instantly fell in love with the ocean,” Gardina said in a press release. Gardina earned her Juris Doctor from Boston College and then decided to pursue a life on California’s West Coast. With an interest in environmental changes and how those could potentially impact Ventura’s harbor, Gardina hope to bring these concerns to the table. “The future of the harbor is very much going to be intertwined with climate change and making sure that we’re creating a resilient coast and a sustainable harbor. Coastal communities must address climate change not just for the next five years but thinking ahead, to 10, 20, 25 years from now and beyond,” Gardina said in a released statement. 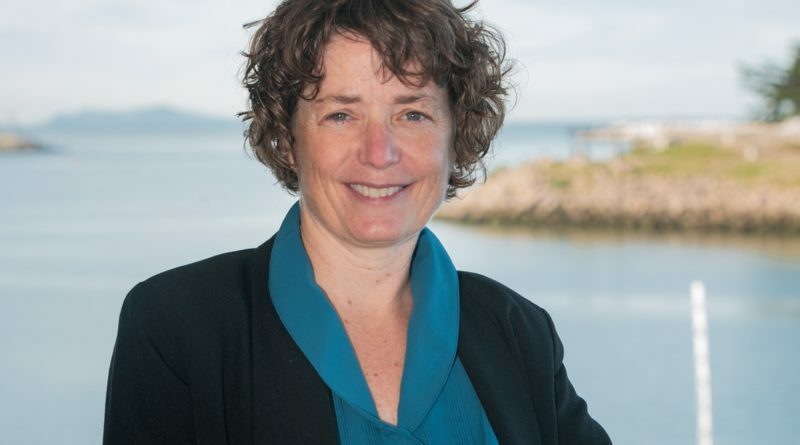 In addition to her voluntary appointment to the Board of Port Commissioners, Gardina is the dean and chief academic officer of Santa Barbara and Ventura Colleges of Law. Spending time kayaking in the harbor, taking hiking trips to Channel Islands and being near the ocean are among Gardina’s favorite leisure activities. Gardina’s term expires on June 30, 2021. With Gardina’s appointment, the port commission is looking forward to a busy year. Currently, Commissioner Chris Stephens is chairman and Brian Brennan continues his position as vice chairman. Jean Getchell is also a newer member to the five-member agency; her term runs until June 30 of this year. The Log recently interviewed Commissioner Everard Ashworth, who provided touched on some of the goals of Ventura Board of Port Commissioners. “With the personnel now in place, the board is ready to get down to the work of enhancing life, leisure and business at Ventura Harbor,” said Port District General Managing Oscar Pena. “Among other things, we look forward to the opening of the first units at the new Portside Ventura Harbor, as well as the expanded Holiday Inn Express. We will continue our efforts to bolster the commercial fishing industry with our pursuit of the Ventura Shellfish Enterprise project, and we will be freshening up the Harbor Village to provide an improved visitor experience,” Stephens continued. It is no secret Ventura’s Port District have been working to pose the area’s harbor as a burgeoning vacation destination, either for those enjoying a “staycation” or traveling in California. The area is certainly a prime spot for boaters, considering its proximity to Channel Islands, which many have said is an awe-inspiring sailing voyage. To learn more about Ventura Port District, the port commissioners and things to do in the area, visit venturaharborvillage.com.